A coach/mentor/sponsor should be assigned or proposed for each Rover in order to maximize the learning experience. These could be senior/crispy Rovers and local advisors, though ideally prior award recipients would be chosen. It won’t be possible to have recipients mentor the first couple of years since we have none, but in due time. A few months ago, a small team of Rovers decided to design a Rover award scheme for our local council. We decided on the name of The North Star, since it is truly Canadian, one can always set your direction from it even in the darkest of hours, and stars are something to aspire to be. The award had four badges to obtain before the final North Star award. Never claimed the names were catchy. Those four are to be administered at the crew level, and we encouraged crews to personalize the names as they saw fit. Leadership roles is by no means limited to being a leader for a younger section. Leadership roles are where a Rover is an indispensable individual to the success of activity, is making decisions, and has other people working with them. Through active exploration of community issues or spiritual awareness and either engaging in a practical fashion or written knowledge based fashion. A rover is to under take a project of their choice to develop their skills and abilities in a field or discipline of their choice. 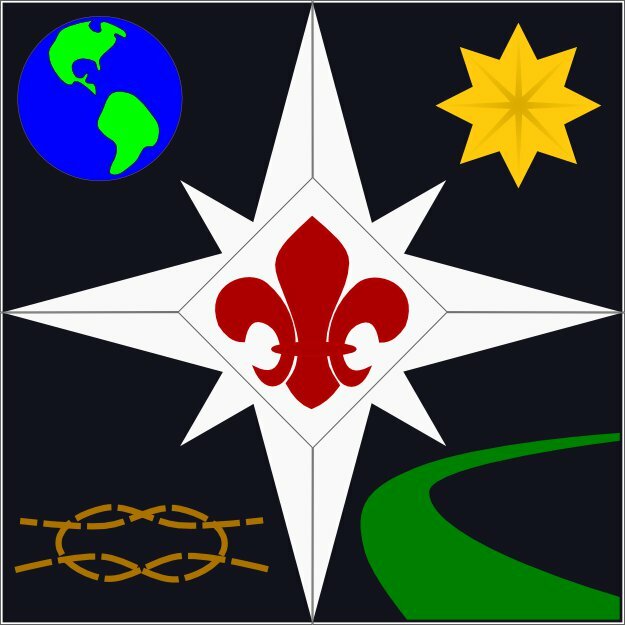 The fifth and final portion of the award is only successfully earned after all four others have been, and an interview to explore if they have lived a “Scouting Life” is passed. Together they form to create the final product. This was designed as a non-uniform badge (fire blanket for example) because anything we produce would not have been a sanctioned uniform badge. This allowed us greater freedom in the size of the patch. Of the six elements that the QVA works on, only vocational was not touched upon directly. That’s not to say that one of the four sub-badges could lead to vocational exploration or improvement. We didn’t think it would be as worthwhile to set out a requirement that a Rover should explore different vocations. Typical Rovers are either in a career, working towards one, or have an idea of what they’d like. Tonight is a conference call for the team working on the top Rover award. I’ll be sure to share the thoughts and suggestions brought to me (thank you all!) and will report back shortly what we talked about.